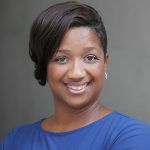 While much of the country was focused on Super Tuesday results, I gathered with 300 pastors from across these United States for the Black Church Matters Summit in Washington, D.C. Over the past several years, two big questions have been posed about the black church: Is the Black Church dead? And is the Black Church still relevant? The convening in D.C. helped to affirm and confirm what I always felt in my soul: an unequivocal YES to the question of the relevance of the Black Church and an equally emphatic NO to the idea of its demise! Pastor Jamal Harrison Bryant of Empowerment Temple AME Church in Baltimore brought us together for the summit. He has played a significant role in the Black Lives Matter movement nationally and locally, following Freddie Gray’s death. The Black Lives Matter movement, however, has largely been filled with young people who are not members of any church. In past generations, Black ministers and laypeople led civil rights movements. Now, many worry that the Black Church has lost its prophetic voice. Bryant and his team outlined a clear objective. “We are not here for a preaching bowl!” he proclaimed. Instead we were there to listen, learn and leave with strategies to build the communities where we worship, work, live and lead as pastors. To be sure, the Black Lives Matter movement was key to this convening. The movement is a Black Church matter, and we were there to get clear focus and direction on how to fulfill our apostolic and prophetic role as leaders of the church and our communities. Over the two days, the four matters discussed in length were: Black Lives Matter, Black Dollars Matter, Black Minds Matter and Black Votes Matter. 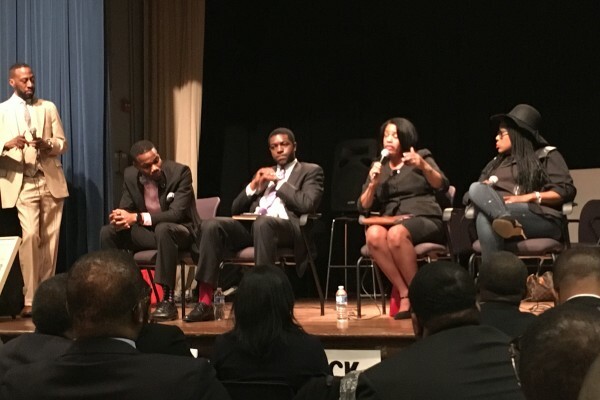 I was honored to moderate the Black Minds Matter panel and discussion. At the conclusion of the matter (pun intended! ), we listed three strategies from each discussion that we would collectively begin to implement and/or support, depending on our particular church’s structure. For future meetings, we are expected to offer a report on what we accomplished and the impact of the strategy on our community. And, of course, voter registration! We closed the summit on that Super Tuesday with an expectation of the supernatural. At the steps of the Supreme Court of the Unites States, we lifted up signs handmade by children who desire to see justice in the land. Some lifted their hand, while those of us who are pastors lay prostrate. Collectively we cried out to God on behalf of the nation. Our prayer was simple: Lord, let your will be done. Nothing More. Nothing Less. Nothing Else.